I have to admit my fascination with Sherlock Holmes is almost entirely based on the recent BBC revival. While I did read a few of the originals when I was in elementary school, I barely remember them, so my judgement is more based on a replication of the original. Russia, black magic and Victorian-style balls? I am so there! I have to say I was a little worried, though. 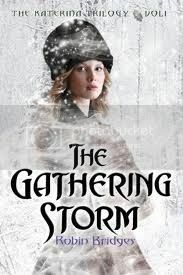 It seems like since its release The Gathering Storm has just fallen off the radar. 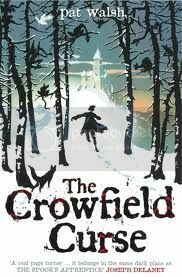 Usually if a book is really good I’ll see a review here and there for at least a little while after. I needn’t have worried though – this one lived up to its blurb. This is one of those things that I knew I really should watch because a lot of people seem to like it (I heard all about “THE TRAIN SCENE! WAH!”) and because I was fairly likely to enjoy it. While I don’t think I enjoyed it quite as much as some people, it was definitely worth watching, even if just to see Richard Armitage without a beard! One of the big things I really liked about this one was the time period it portrayed. A lot of the historical dramas are more during the “Jane Austen” time period, all light and frothy with pretty dresses and beautiful balls. 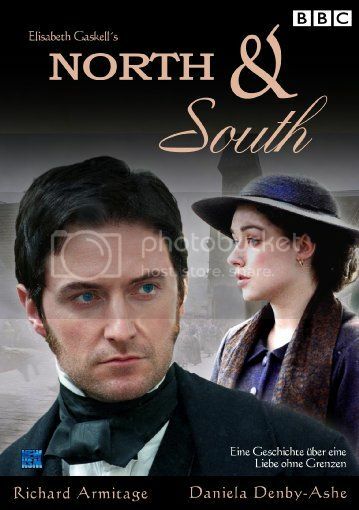 North & South is definitely NOT that. Set in Milton, for the most part, it is right smack in the middle of the industrial revolution. Mr. Thornton is the owner of a cotton factory, and we get to see the harsher side of that life. Times are hard, there are workers striking, and not all of the characters live to the end. But all of that hardship somehow made the romance all the more poignant – something beautiful in the midst of all that hardship. That said, I did question the romance a little. It seemed like Mr. Thornton spent very little time around Margaret over the space of a few months, and then suddenly he was in love with her? Since when? He sees her for a few minutes before his lessons, they exchange pleasantries on the streets, etc. but he hardly knows her well enough to believe he’s in love! Of course, that can mostly be chalked up to my modern sensibilities, and whether I believe in the romance or not, it is adorable. Bottom line: I’d recommend it! But mostly to fans of period dramas, not necessarily to everyone. What does this mystery have to do with the cryptic brotherhood of monks Will serves? What does it have to do with the boy himself? 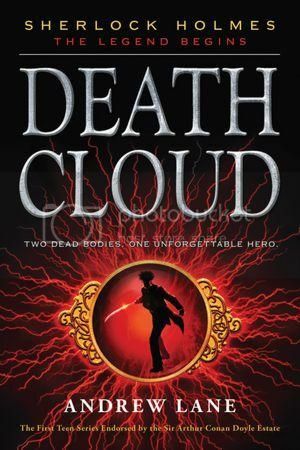 When two cloaked figures darken the church’s doorway and start demanding answers, Will is drawn into a dangerous world of Old Magic. The first word that comes to mind to describe this book is “odd.” It is an odd mixture of various books I’ve read, the prose felt odd and it left me feeling… odd. In a good way, but it’s still weird. So, Anne is pure evil. Every few days I get a recommendation of some sort from her for a TV show I should watch, or a movie to rent, or a book to read. BUT after falling madly and deeply in love with Doctor Who (one of her awesome recommendations), I have learned to trust Anne with ALL things she urges me to dive into. Alice was one of those things and, oh my gosh, what a ride that was! I absolutely love retellings of classics, from Grimm fairytales to classic novels, and have been a huge fan of Alice in Wonderland for years. I’m sad to say that I’ve never actually read the Lewis Carroll original, but I’ve seen enough movies to know what’s going on. Really, Alice in Wonderland is one of those stories that is so crazy and strange, that any retelling of it will be equally crazy and strange, if not more so. I mean, falling through a rabbit hole, a mad hatter, a Cheshire cat, the Queen of Hearts – it’s all so imaginative that in order to make a movie out of it, or in this case, a miniseries, the writers better have a darn good knack for the weird. I was a little worried when I popped this movie into my player, seeing that it was 240 minutes long – I was certain that at some point I would be bored and ready for it to end, but it was such fun to watch! 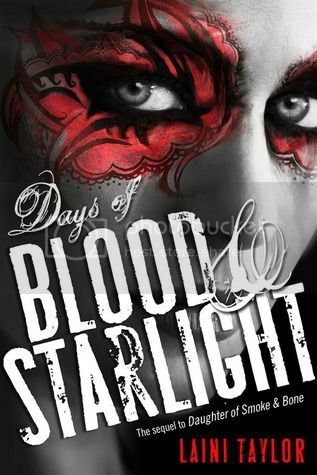 I loved how modern it was, that it wasn’t the same old little girl falling through the rabbit hole kind of story, but a grown woman following her boyfriend who looked to be kidnapped through a mirror to another world. And oh, that world! The whole place just looked fantastic on the screen and I couldn’t tear my eyes away! The colours were magnificent and the story moved at quite a quick pace that by the time I knew it, the movie was already over. I was sad because I didn’t want it to end! Of course, I can’t write a review about the movie without mentioning some of the actors. 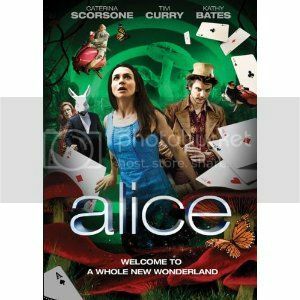 Catarina Scorsone was brilliant as a grown up Alice. She had the perfect look for the role and even the outfit to boot! Kathy Bates was unrecognizable as the Queen of Hearts – well, I knew it was Kathy Bates, but the whole time I was watching, I couldn’t believe what an amazing actress she was! And then … <insert swoony sigh here> … there’s Andrew Lee-Potts, or Hatter (a.k.a. the MAD hatter in the original story). A special place in my heart is reserved for him because he stole it right from the get-go. He was charming and quirky and I couldn’t help but smile whenever he was on screen! I laughed, I swooned, and when it was all over I wanted to watch it again. There’s adventure, fantasy, and romance – surely something for everyone! Big thanks to Anne for the wonderful recommendation!